Poster depicts wounded man in a sling gesturing to a red cross sign. Woman with a scarf on her head and small boy also shown. Broken wagon wheel, gun with bayonet, and helmet behind figures. A bird is at the top right. Images of iconic American architecture in far background. Red cross logo at top left. 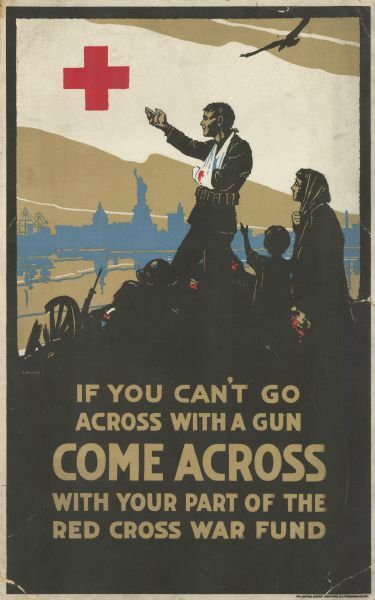 Text reads "If you can't go across with a gun Come Across with your part of the red cross war fund."